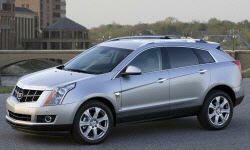 Does anyone use regular 87 octane gas in their SRX with the 3.6L V-6 engine? If so, have there been any engine problems related to that type of fuel? Our 2012 SRX has never had any fuel other than regular octane. 107,000 miles now and no engine problems. Yes, I have only used 87 octane regular gas. If I remember right, the owners manual stated to use regular grade3 gasoline. I have had no problems with it. 2012 SRX4 with 52,000 mi. 2008 SRX with the 3.6L V6.... I only use 87 octane gas and have never had a problem.